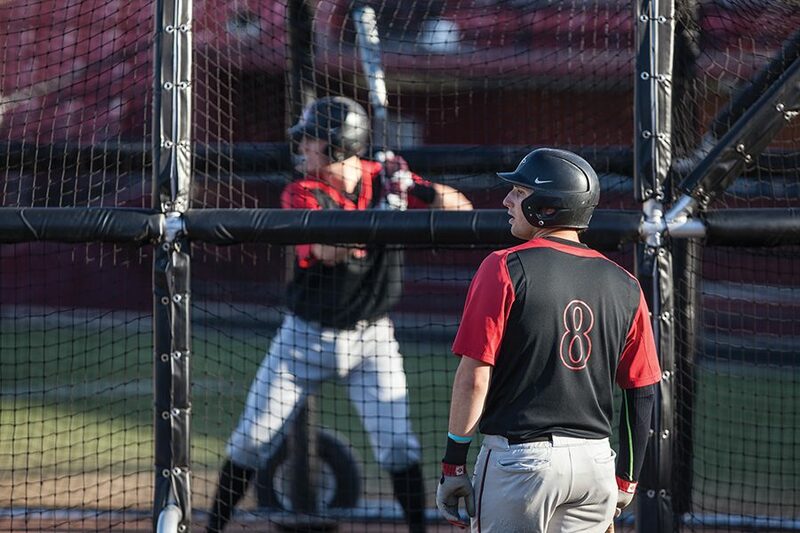 Freshman infielder Casey Schmitt looks on during baseball batting practice on Jan. 26. 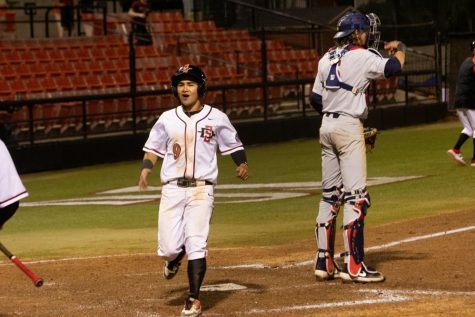 It’s easy to believe that the San Diego State baseball team is due for a regression after last year’s 42-win season. I mean, with so many seniors who made a large impact gone and graduated it wouldn’t be that hard to write them off for the upcoming crusade, right? 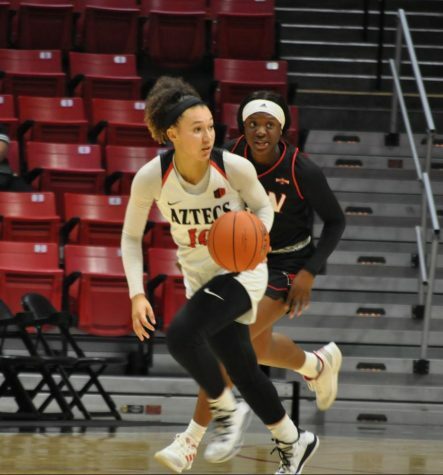 Despite a large roster turnaround, the Aztecs are in as good a position as any to repeat their success from last season, which saw them finish one game behind New Mexico for first place in the Mountain West Division. 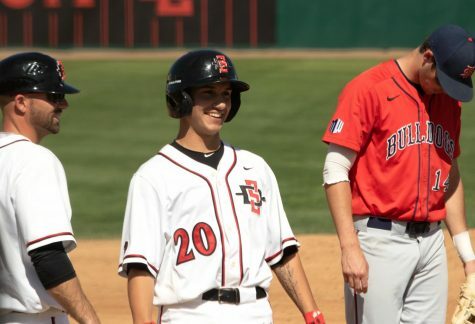 Yes, it obviously hurts to lose the three guys that started every Friday, Saturday and Sunday in Brett Seeburger, Marcus Reyes, Dominic Purpura and Cody Thompson, but SDSU still has a lot of options for the weekend. If you need proof, look no further than sophomore pitcher Logan Boyer. 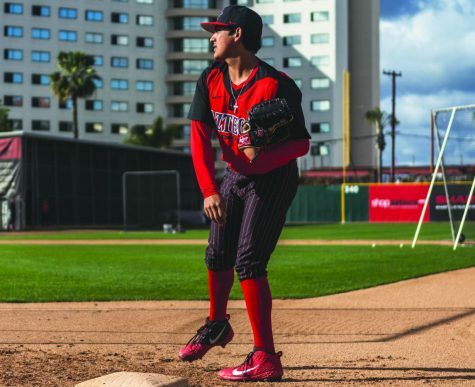 Boyer led the Aztecs with a 1.46 ERA last season, during a season which unfortunately was cut short by injury. A full year from Boyer will boost the rotation substantially and give pitching coach Sam Peraza a safety net. Peraza emphasized the potential of the pitching staff overall for the next year, despite their youth. “We are really, really, young but I think this is our most talented group we’ve maybe ever had. 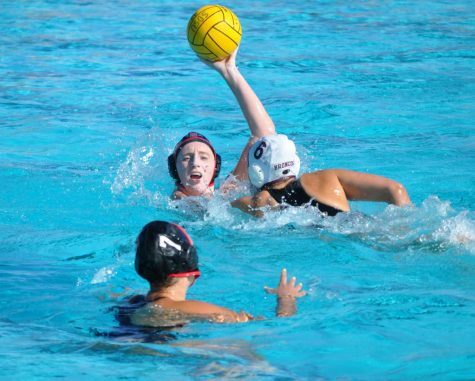 We got five or six freshmen with a lot of good stuff that are gonna see a lot of time,” he said. Peraza added that while the team may not be as grown up as in years past, the veterans on the team should make up for the team’s abundance of young talent. 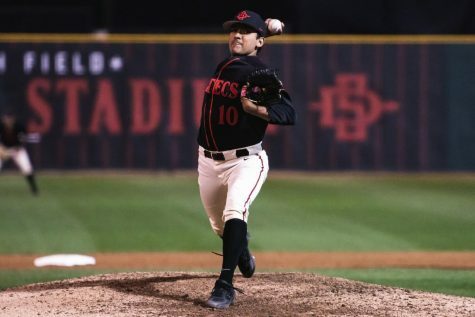 If you want experience look no further than SDSU’s bullpen, which is going to be a force to be reckoned with. Senior lefty Jacob Erickson and senior righty Jorge Fernandez are both returning and bringing with them ERA’s of 3.67 and 2.79, respectively. “Those are the kind of guys that are going to need to help the young guys be successful,” Peraza said. If they both follow through and take another step, as expected under Peraza’s leadership, pitching is not going to be anything to worry about. That’s enough about the pitching side of the ball, but surely there’s due to be some regression on the offensive side right? Maybe so, but it might not be as substantial as you might think. There are six guys in the starting lineup from last year that are expected to lead the team. Familiar names from that group include seniors David Hensley and Chase Calabuig. Hensley led the team with a .357 average while Calabuig contributed a .312 clip. They’ll keep the spark alive from last year and will be able to pass some of their success along to the younger guys. 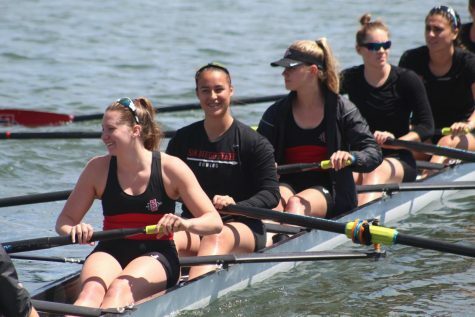 “There’s guys that we can lean on a bit and allow some of our freshmen like Casey Schmitt, Matt Rudick, Nick Israel, Isaiah Parra, John Dearth develop and grow under their leadership,” head coach Mark Martinez said. That doesn’t even take into account a full season of junior outfielder Chad Bible. 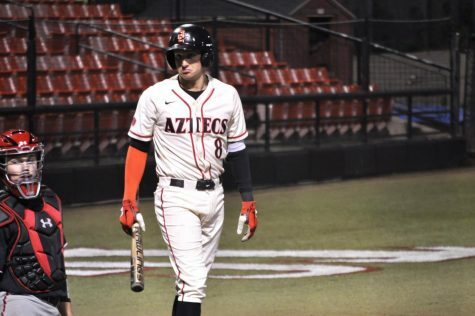 Yes, the absence of impact players like Tyler Adkison, Justin Wylie, Alan Trejo, Danny Sheehan and Andrew Brown will hurt, especially early on, but the Aztecs are in a position to account for the loss of their production. Even if it does take more time, expect the team to be right up where they were at the end of last season when we reach June. The combination of veteran leadership and influx of new talent is going to be a perfect storm to get them there.